When Apple introduced the iPhone 5, also announced it would launch the iTunes version 11 over October. However, the company made no reference to iTunes for iPad mini presentation later that month. Indeed, a few days later it was confirmed that Apple would delay the launch of iTunes 11 "to improve the tool." 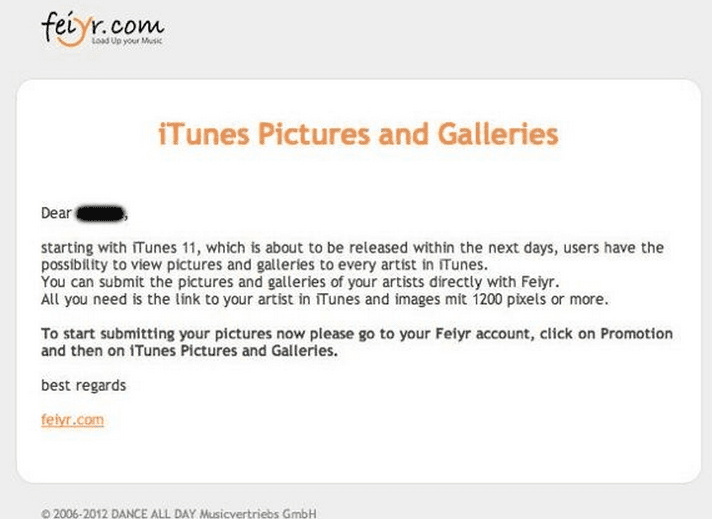 Today, a German music distributor has sent an e-mail informing her that artists have to send yours in iTunes high resolution images for the new version "will be available in the next few days." Indeed, iTunes 11 bet to give greater prominence to the covers of the albums and artists and the process of gathering all of this information could also have contributed to the delay. Hopefully Apple finally launched iTunes 11 before the end of this month. Article A music distributor confirms that iTunes 11 will be available in a few days has been originally published in News iPhone .